For conducting some experiments and preparing several demonstrations I needed a locally running Kafka Cluster (of a recent release) in combination with a KSQL server instance. Additional components from the Core Kafka Project and the Confluent Open Source Platform (release 4.1) would be convenient to have. I needed everything to run on my Windows laptop. This article describes how I could get what I needed using Vagrant and VirtualBox, Docker and Docker Compose and two declarative files. One is the vagrant file that defines the Ubuntu Virtual Machine that Vagrant spins up in collaboration with VirtualBox and that will contain Docker and Docker Compose. 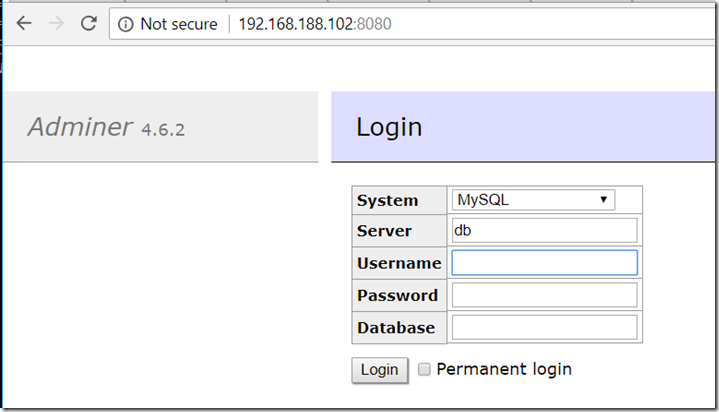 This file is discussed in more detail in this article: https://technology.amis.nl/2018/05/21/rapidly-spinning-up-a-vm-with-ubuntu-and-docker-on-my-windows-machine-using-vagrant-and-virtualbox/. The file itself can be found here, as GitHub Gist: https://gist.github.com/lucasjellema/7593677f6d03285236c8f0391f1a78c2. 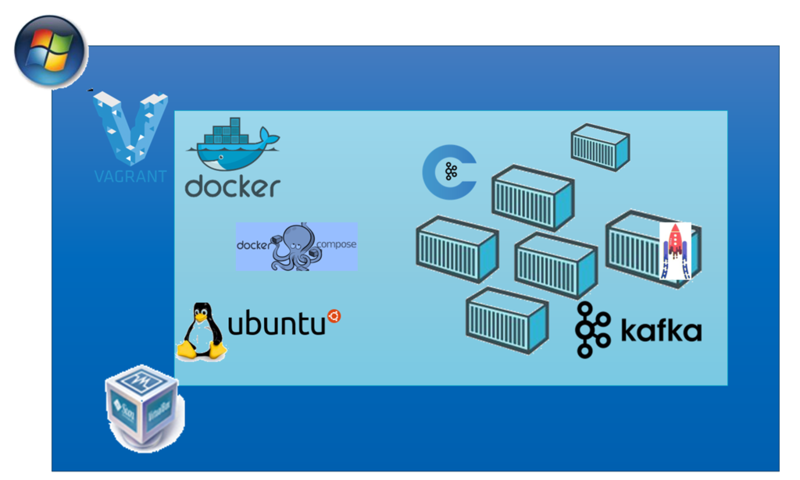 The second file is the Docker Compose file – which can be found on GitHub as well: https://gist.github.com/lucasjellema/c06f8a790114396f11eadd10434d9b7e . Note: I received great help from Guido Schmutz from Trivadis for this file! 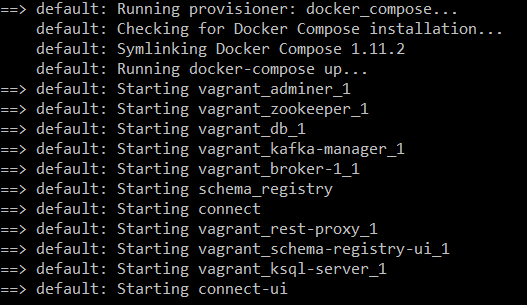 and is executed automatically by the Vagrant docker-compose provisioner. Docker Compose will start all Docker Containers configured in this file, the order determined by the dependencies between the containers. Note: the IP address in this file (192.168.188.102) should correspond with the IP address defined in the vagrantfile. The two gists currently do not correspond because the Vagrantfile defined 192.168.188.110 as the IP address for the VM. 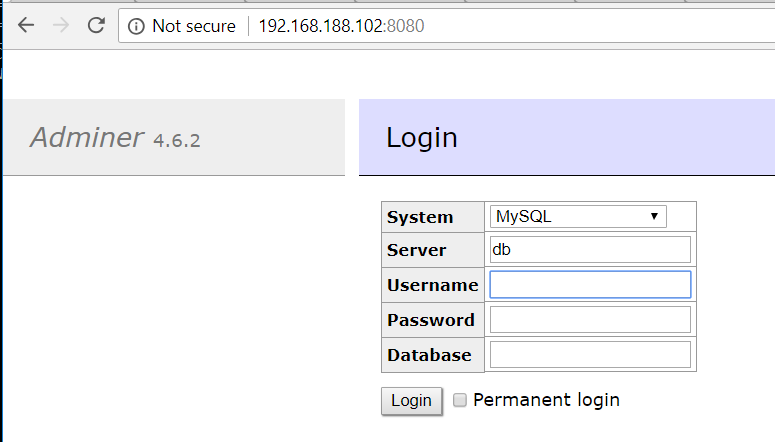 Once Docker Compose has done its thing, all containers configured in the docker-compose.yml file will be running. 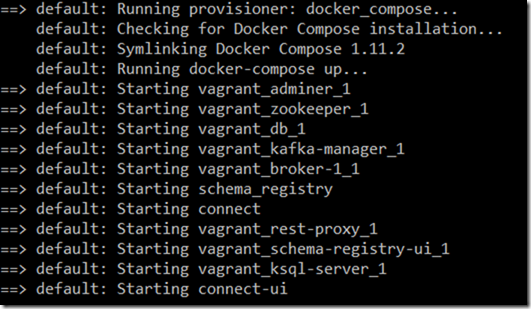 The Kafka Broker is accessible at 192.168.188.102:9092, the Zoo Keeper at 192.168.188.102:2181 and the REST API at port 8084; the Kafka Connect UI at 8001, the Schema Registry UI at 8002 and the KSQL Server at port 8088. The Kafka Manager listens at port 9000. # for Kafka and Confluent Schema Registry, but that's ok because they complete fast. # for topic creation before we start the application.